Glacier Golf Ball Premium Glass Plaques. Blue, silver and gold detail. Available in 3 sizes, 120mm, 140mm and 160mm high. Premium Glass 10 mm thick. 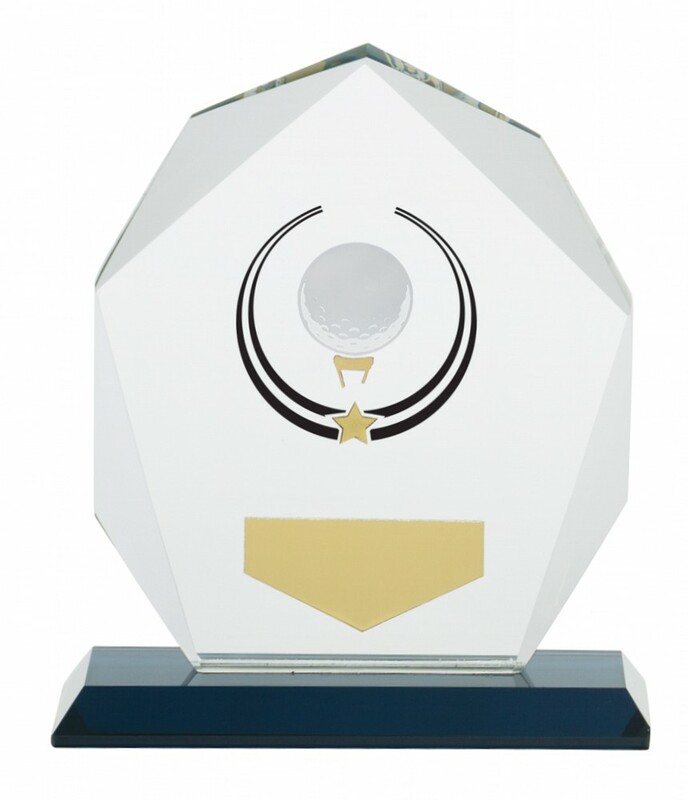 A great value golf trophy.